Course selection is available in such areas as OSHA Safety including Bloodborne Pathogens and Infection Control, HIPAA Compliance and Security Rules, Radiation Safety in the Workplace, Customer Service Skills and many other programs. Offered are both general and customized versions. A flexible and self-paced schedule that is available anywhere and anytime via your PC or MAC, Graphic Tablet or even a Smartphone plus be able to stop and pickup where you last left off. 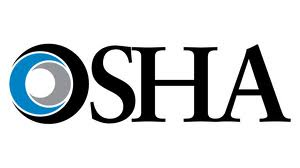 The OSHA Consultation Safety and Health Achievement Recognition Program (SHARP) is a no cost service provided on request to employers who want help in establishing and maintaining a safe and healthful workplace. The employer’s only obligation is to correct all identified serious hazards within the agreed upon correction timeframe.